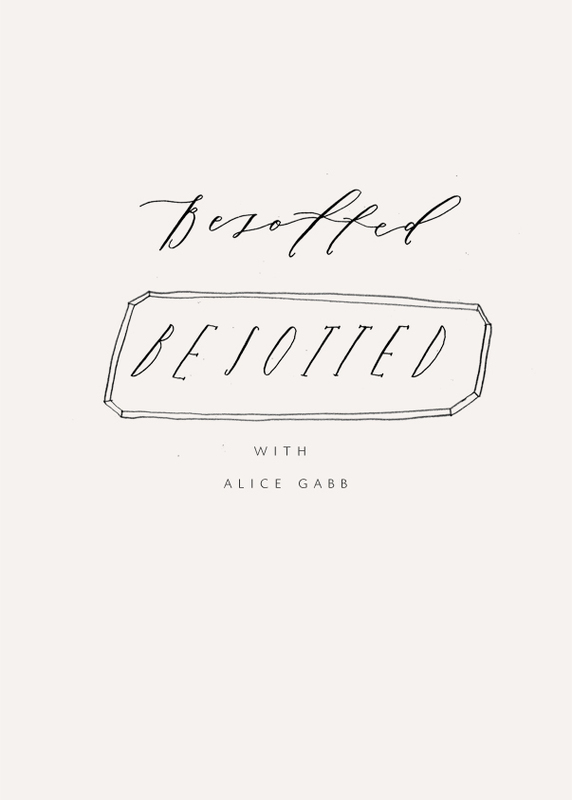 Super excited to share Alice Gabb with you today! Alice has such a unique hand that you can identify anywhere. It’s that wabi sabi hand that I wish for–perfectly imperfect. Alice is an uber talented artist and we hope you love reading her interview as much as we did! I work from a little studio in Dalston in East London, that I share with two other creatives, and a tiny Italian Greyhound. 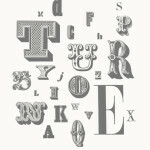 I studied Graphic Design and Illustration at university, and my projects always seemed to feature hand rendered type. I wasn’t interested in typography in a digital sense at all, I just wanted to draw it! When I graduated I was accepted to have a stall at the beautiful Broadway Market every Saturday. I sold stationery that I had designed and screenprinted during the week. 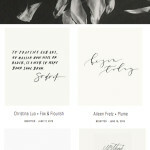 I started to get a lot of wedding invite commissions, and was hand drawing or painting all of my lettering, until I learned (years later) that the typefaces I was creating with a pencil or brush was called ‘Modern Calligraphy’and started to teach myself using the Besotted Blog for research. It took so long to learn because it was relatively new to the UK back then, and it was hard to get hold of the right supplies. That was three years ago now, it’s flown by! I love the Blue Pumpkin and Leonardt Prinicpal EF for nibs. It took me months to be able to use the Blue Pumpkin, so I advise beginners to start with the Zebra G or Nikko G nibs. I use Dr PH Martins Bleedproof White for white ink, Higgins eternal for black ink, and I have a small set of gouache tubes that I mix up with water and a few drops of gum arabic for every colour in between. I flit between straight pen holders and oblique, and I get through a lot of Daler Rowney A4 Layout Paper pads. I’m yet to get one of those Finetec Metallic Palettes but that is next on my list! I love going to Old Spitalfields on a Thursday morning so I can add to my collection of vintage stationery. I’m particularly interested in telegrams and fold out souvenir cards and I use old packaging a lot to dictate my layout and choice of typefaces. I like looking at traditional sign painting too. Although it can be hard to find these days, my parents live by the sea in Cornwall, and you can’t use vinyl because the sea spray makes it curl up and peel off very quickly, so there’s lots of lovely traditional painted examples about the place! I am probably not someone to emulate in terms of work process!! I still haven’t got round to learning how to use a fancy tablet…I will though, one day! Everything is practiced on layout paper first, and then written or drawn numerous times until I am happy with it and scanned in to then be artworked in Photoshop, and then laid out in InDesign. I’m really particular about things, sometimes I will write a word fifty times before I’m happy with it. 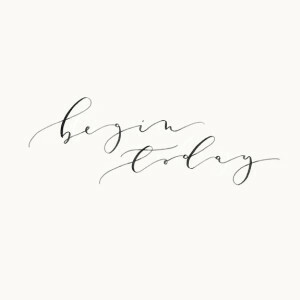 I think that surprises people because a lot of my work has a naive feel, and my calligraphy style is fairly whimsical with long lines and leaders, and never following a straight line – but often my process is fairly lengthy! I suppose when you strip it back, it is all about patience, practice and attention to detail. I think it’s important to be really noticing the way other artists are creating their letters, making a mental note of little elements you particularly like, and leaving bits you don’t. I can’t lie though, you need to practice, practice, practice! Write down song lyrics, swear words, inspirational quotes, your shopping list, anything! 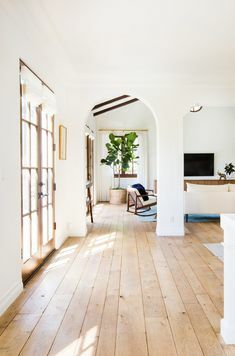 I think trusty old Pinterest is a great place to be finetuning your preferred styles. 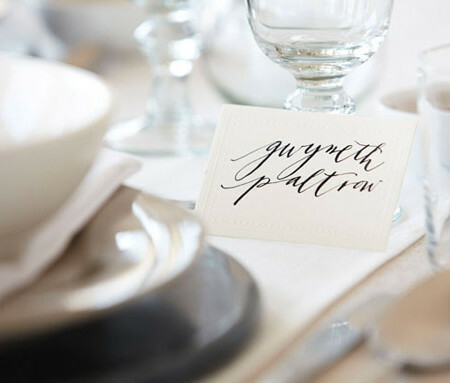 I have one board for nicely styled shoots that inspire me, but another board specifically for close up examples of letters that I especially like the look of. 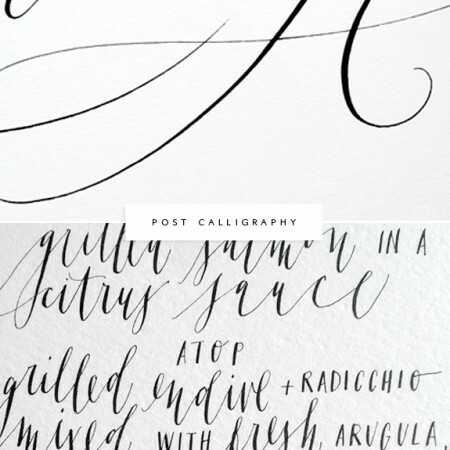 It’s also helpful to remember that Modern Calligraphy has evolved from traditional Copperplate script, and studying that style can hugely improve your control. Dr J.M Vitolo’s amazing online resource, Iampeth, really helped me at the beginning, as did Fozzy Castro-Dayrit. She is so dedicated to the study of calligraphy, and her instagram always encourages me to do my drills! Obviously if you are in London you should come to one of my classes, but if you are too far away, you can’t beat the online course, the Modern Calligraphy Summit, that covers it allllll! Even though I had been a professional calligrapher for two years, when the Summit came along I just had to sign up because I was about to start teaching my own workshops, and I had this fear that my technique might be incorrect in the eyes of the calligraphy overlords, but actually it was a comforting reminder that I knew what I was doing and that I should go forth and share my lettering knowledge! My collaborations with bookbinder Catherine Willis (who works under the name Kitty Farrow) are probably my favourite. She is a traditional book binder and box maker, and so between us we have a really unusual and old fashioned skill set! We’re a couple of old fashioned gals at heart, there is usually always a glass of sherry or two in our meetings. I find it very hard to work with other people as I’m so used to working alone, but Cat makes me macaroni cheese so everything is always ok.
Cripes, there are so many dont’s!! I’ve learnt the hard way! Most importantly, do not rush, and give yourself plenty of time to learn if you have a specific project in mind. Secondly, try not to associate calligraphy with ‘hand writing’. Hand writing is something totally different, something we have subconsciously spent decades practicing. 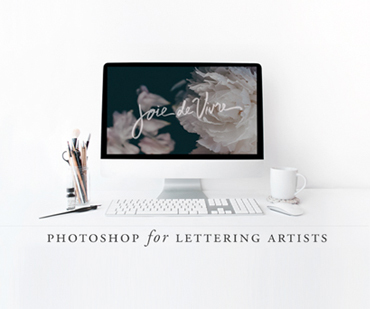 It also has a totally different pace to modern calligraphy, and you hold the pen and angle your hand differently, so instead, think of calligraphy as a series of lines and curves that you need to teach your brain by repeating and repeating until your muscle memory knows exactly what to do. It’s frustrating at the beginning but it gets easier! Oh yes. I run Beginners lessons every other Saturday and Improvers classes on occasional Tuesday evenings. Both of which take place in my favourite East London cafes. I am pretty good at hula hooping and roller skating…Marawa the Amazing used to run lessons at her Hoopermarket by my studio one summer, and I used to go every week, practice most days and had grand dreams (some would say delusions!) of one day becoming a Majorette….I think I’ll just stick to my fancy writing though….